Affecting approximately 70% of individuals at least once in their lifetime, neck pain is frequently experienced. 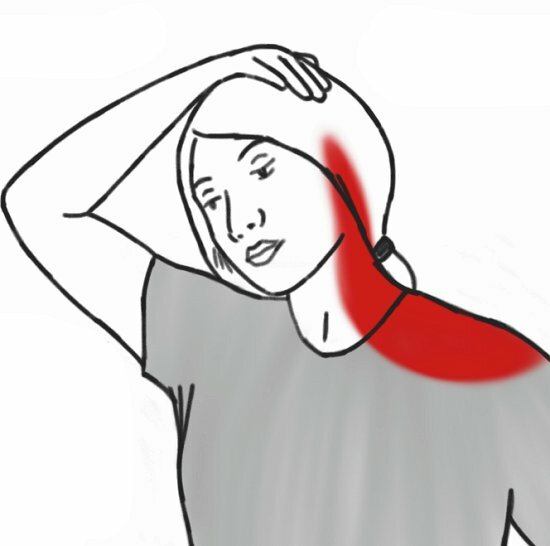 Neck weakness leads to instability and is a contributing factor of conditions relating to neck related headaches, persistent whiplash symptoms, rheumatoid arthritis, osteoarthritis, degenerative spine and surgery. This along with traumatic injuries as well as genetic predisposition can lead to a loss of stability, affecting the normal mechanics of the neck. A 2015 study in the Journal of Physical Therapy Science found fatigue of neck muscles can effect vision even in healthy adults. Visual and postural stability are related and this can be caused by cervical trauma, leading to unsteadiness, dizziness, and visual disturbance. 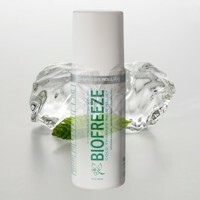 This can increase the risk of falls. In clinical situations, a lack of stability of the neck can be diagnosed on x-rays, where it is termed cervical spine instability. This condition often involves compression of nerves or blood vessels, pain, and nerve related symptoms and signs. This usually represents a disruption of ligaments, constraints on anatomical structures of the neck and excessive mobility. Weakness which does not involve clinical findings of cervical spine instability can have profound effects for neck pain sufferers. Strength of the neck structures stabilizes the spine during externally applied forces. 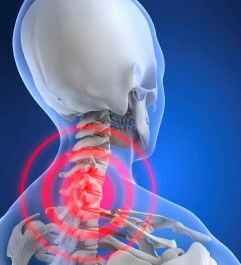 Weakness or instability happens when the structures of the neck cannot appropriately stabilize and control the neck. Unlike the clinical findings of cervical spine instability, weakness represents a loss of the neck stabilizing mechanisms causing abnormal movement instead of excessive motion and may appear similar to instability. Indications of weakness leading to instability may include neck pain, altered movements, pain referred into the shoulder, myelopathy or radiculopathy or muscle spasms, altered neck posture, tinnitus, pain with static or prolonged postures in one position, sensations of locking up or catching, and problems involving normal mobility. Additionally, past traumas or repetitive injuries from performing the same motions over and over may be part of the history. Weakness as seen with instability is often related to minimal instability of the cervical spine, not meeting the exact criteria for radiographic clinical instability, involving minor signs and symptoms. Based on an related to symptoms by expert practitioners, an agreement on common symptoms was found to help in diagnosing this condition. Intolerance to prolonged static postures was the symptom most related to weakness or instability, followed by fatigue and inability to hold head up and better with external support, including hands or collar. Other symptoms and signs were sharp pain, possibly with sudden movements, neck gets stuck or locks with movement, and minor movements provoke neck pain symptoms. Additional symptoms were unwillingness, apprehension or fear of neck movement beyond comfort ranges where higher muscle activity is engaged. 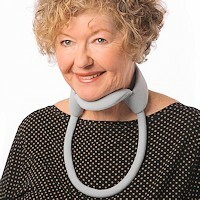 Also included were past history of neck dysfunction or trauma, frequent need for self-manipulation – popping own neck, feeling of instability, shaking, or lack of control, frequent episodes of acute pain attacks, head feeling heavy, catching, clicking, clunking, and popping sensations, muscles feel tight or stiff, temporary improvement with clinical manipulation, better in unloaded position such as lying – which may reduce pain related to load sensitivity usually associated with the mid-portion of the neck is the location most prone to instability or weakness problems. NOTE: This questionnaire is designed to help understand how much your neck pain is related to weakness of the structures and instability which may respond to stabilization and support methods. CHECK ONLY ONES THAT DESCRIBE YOUR PROBLEM RIGHT NOW. If it does not apply to you, do not check it. After checking the ones that apply to you click, on the ‘Submit‘ button. The score gives you an idea if stabilizing methods like and/or support measures like collars or head supports can help provide a solution. 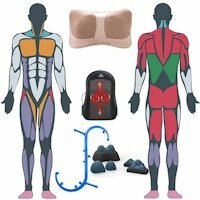 You can look at our neck exercises and supports for related products and information. The higher the score, the more likely you should seek a health care professional consult.